A massive fire has broken out at the historic Notre-Dame cathedral in the center of Paris. 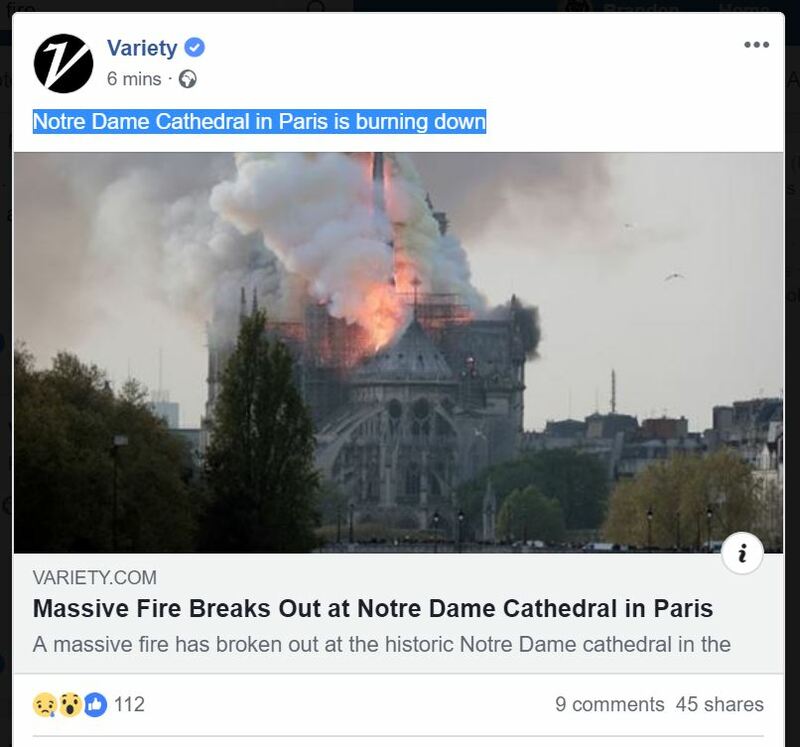 AFP reported that the Paris fire department said the blaze was “potentially connected” to a renovation project currently under way. Extensive scaffolding can be seen along the roof line. The cathedral is located on the Ile de la Cite, one of two islands in the Seine river that runs through the heart of Paris. The roof is engulfed in huge flames, which are quickly covering the skies of Paris in thick smoke. The most-visited monument in Europe, with 13 million visitors a year, was preparing for huge crowds as Easter week begins. The fire was declared at 6:50 p.m. Paris time. @SLYGUY do you have a live stream? The one above is live, I think. That's some seriously awesome architecture turning to ash right now. I'm watching it on Fox news. It looks like they may have gotten at least some of the flames to subside a bit. But the damage thus far looks to be extensive. You mean other than the cathedral? I hope they got the hunchback out in time. Seriously though, I've been there and it's very sad to see any historical monument be lost like this. They have put the fire out now, Macron says they will rebuild the lost portions. IIRC, the majority of the cathedral took the better part of 700 years to be built. Sad to see it damaged so extensively in one go.